Averroes was the Latin name of Abu l-Wahid Muhammad bin Ahmad bin Rusd, famously known as Ibn- Rushd. Born on 14th April 1126, he was a renowned Moroccan polymath as well as a master of Islamic philosophy, Maliki law, logic, mathematics, celestial mechanics, physics, Aristotelian philosophy, Islamic theology, astronomy as well as sciences of medicine. Averroes work is based on the 13th century philosophical movement based on his work that is popularly known as Averroism. Averroes was educated traditionally in a variety of subjects including linguistics, hadith, scholastic theory and jurisprudence. He was also a prolific writer whose works ranged from psychology, philosophy, metaphysics, origin of the universe, attributes of God as well as religion. Averroes’s works comprise of more than 20,000 pages covering a wide range of diverse subjects, including early Islamic philosophy, Arabic medicine, logic in Islamic philosophy, Arabic astronomy, Arabic mathematics, Islamic theology, Arabic grammar as well as Sharia (Islamic law), and Fiqh most commonly known as Islamic jurisprudence. Averroes most significant works dealt with Islamic philosophy, medicine as well as Fiqh. He wrote around 67 original works, which included 28 research works on philosophy, 20 research works on medicine, 5 on theology, 8 on law and 4 on grammar, in addition to his commentaries on most of Aristotle’s works and Plato’s The Republic. Averroes also wrote a medical encyclopedia entitled as Kulliyat (Generalities i.e. general medicine). His other renowned books include Short Commentary on the Physics, Middle Commentary on the Physics and Long Commentary on the Physics. Besides physics, Averroes made his mark in the field of astronomy as well as psychology through his intellectual contributions. In astronomy, Averroes explained scientific reasoning as well as sunspots about the occasional opaque colors appearing in the moon. 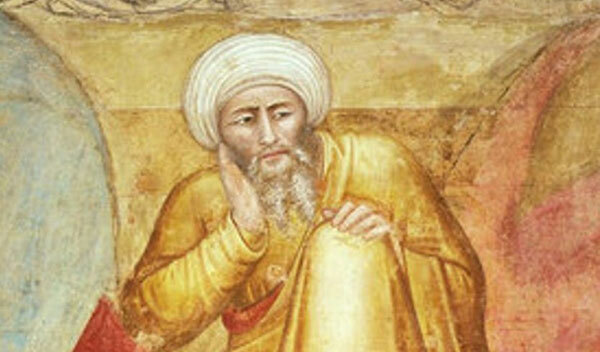 Averroes was also a renowned legal scholar of the Maliki school of thought. His best known works in this field has been comprised of “Bidāyat al-Mujtahid wa Nihāyat al-Muqtaṣid, a textbook describing Maliki doctrine in a framework that is comparative in nature. This book has been published with the English title as The Distinguished Jurist’s Primer. He is the author of “al-Bayān wa’l-Taḥṣīl, wa’l-Sharḥ wa’l-Tawjīh wa’l-Ta`līl fi Masā’il al-Mustakhraja”. It is a long and descriptive commentary that is based on the “Mustakhraja” of Muḥammad al-`Utbī al-Qurtubī. Averroes wrote three kinds of commentaries. They are comprised of the short commentary (jami), the middle commentary (talkhis) and the long commentary that is known as tafsir. A tafsir is the detailed analysis of the entire text including each and every description of the text. Averroes also worked on a wide range of philosophical ideas. They are comprised of the incoherence of the incoherence, the incoherence of the philosophers, Aristotlianism and other prominent works regarding philosophy and science. Averroes was also renowned for his commentaries regarding Aristotle’s works, which were forgotten in the West. Latin translations of Averroes’s work gained prominence in the 12th century. He died on December 10th, 1198 at the age of 72.